Join us on Thursday December 6th from 6 to 7:30 for painting, refreshments, and lots of fun! 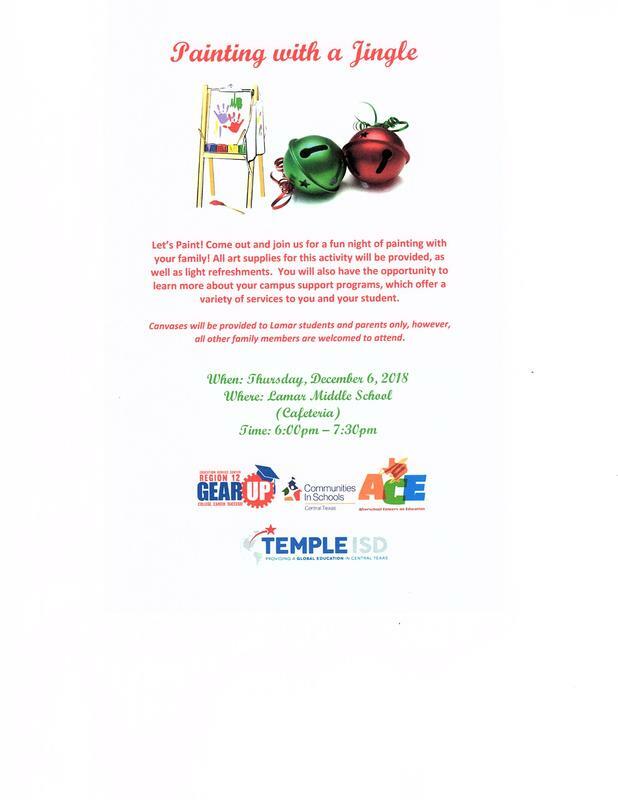 Join the ACE, CIS, and GearUp programs for a family night of painting and fun. Canvases will be provided for Lamar students and parents only, but all family members are welcome to join. See the flyer for more information.